Let it not be said that Fed policies of ZIRP and QE were not stimulative. In this installment of the Chart of the Month Club, we show the naysayers that it is abundantly clear that the Fed stimulated growing leisure time for millions of Americans not only in total numbers but as a growing percentage of the population. 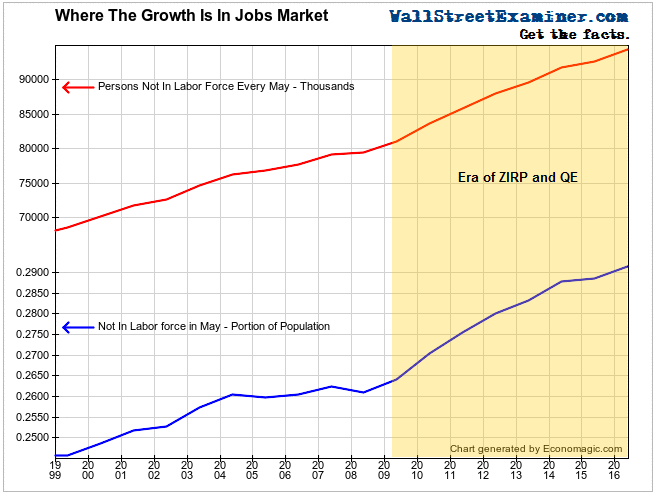 Under QE and ZIRP both the number of people not in the labor force and their percentage of the population have grown at a faster rate than in the past. We congratulate the Fed for stimulating increased leisure time for a growing number of Americans. Keep up the good work, ladies!